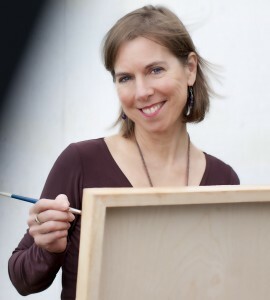 Q&A: Encaustics – Shary Bartlett | Paint. Draw. Blend. Shary Bartlett is a Canadian mixed media artist who lives in Vancouver, Canada, and teaches fine arts at Capilano University and Langara College. She is one of the teachers at EncaustiCamp an annual event which PanPastel has been proudly sponsoring since the very first EncaustiCamp. 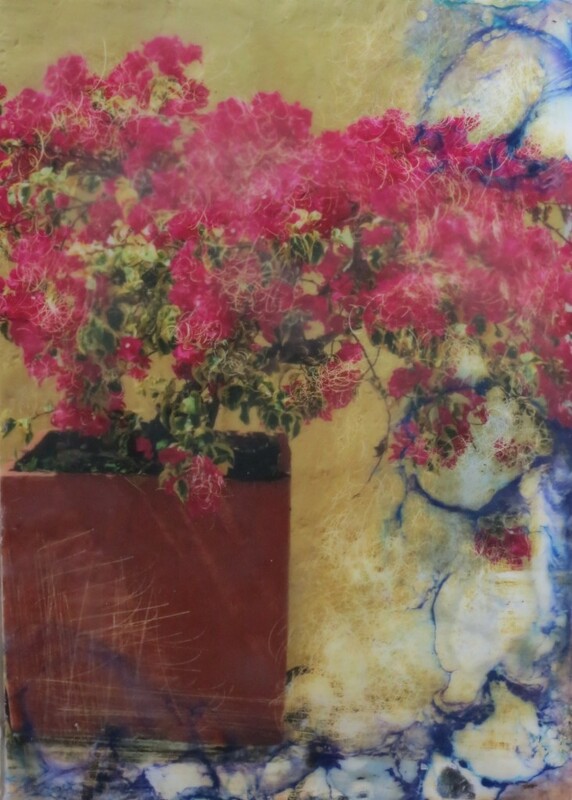 Shary uses PanPastel in many of her encaustic/mixed media pieces including all of the pieces shown below. I’ve loved making things ever since I was a little girl pushing chubby fingers into children’s scissors. Unable to commit myself to just one art form, I admit I’m an unabashed and devoted mixed media artist whose body of work includes encaustic, collage, acrylic, fiber arts, altered photographic prints and sculptural assemblage. I enjoy the creative process of both art making and teaching and find both practices enrich one another. I’m one lucky woman to be able to indulge my artistic passion! When did you first start using PanPastel Colors? I adore PanPastel Colors. 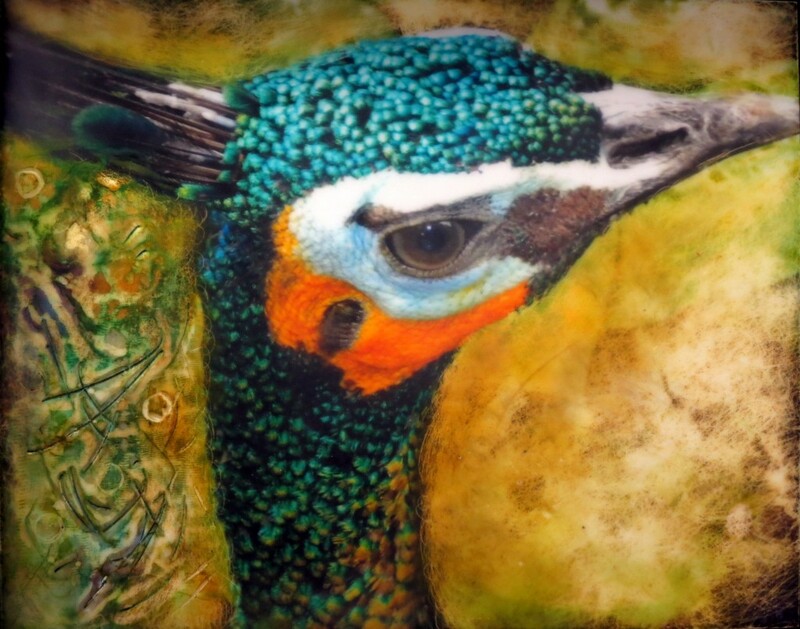 I was first introduced to them at the International Encaustic Artists National Conference in 2012 and have since explored myriad ways of using these high quality, intense pigments. How do you use PanPastel? One of my delights is photography and I love to transform my images into fine art. I print very pale black and white inkjet photo images onto textured fine art pastel papers designed for inkjet printing. Using PanPastel’s Sofft Knives and Sponges, I lightly draw chalk across the toothed surface of the paper to highlight the visual texture of my subject matter. I find it easy to use the underlying contour of the image to direct my marks and appreciate how easily the colours luxuriously blend and layer. I use a workable fixative to finish, but have learned to use little spray, in order to preserve the lightness and depth of the rich pigments. My photo alteration students love using PanPastel Colors, and even those new to pastel painting find them trouble-free and are entranced by the results. My other use of PanPastel Colors is for encaustic, the ancient art of painting with molten beeswax mixed with damar resin. You can see me using PanPastel Colors on encaustic in my YouTube video above. I love the dreamy opacity that PanPastel lend the wax. For the most part I use natural, uncoloured wax medium on photographs which I’ve hand-altered, then tinted, with PanPastel. When fusing PanPastel Colors into the wax with my heat gun, I’m careful not to overheat, as the pigment easily diffuses and forms circular blooms. While this can happen quickly and be an unwelcome surprise, I must admit that occasionally my mistakes create wonderful effects. Sometimes as artists, we just have to embrace those happy accidents which shake us out of our habitual patterns and help us discover new techniques! Where can our readers find out more about your techniques? Some of my encaustic techniques are published in Patricia Baldwin Seggebruch’s book, Encaustic Revelation (North Light Press). The book includes step-by-step demonstrations from 9 popular artists who teach at Encausticamp, including Patricia Baldwin Seggeruch, Bridgette Guerzon Mills, Michelle Belto, Crystal Neubauer, Judy Wise and myself. 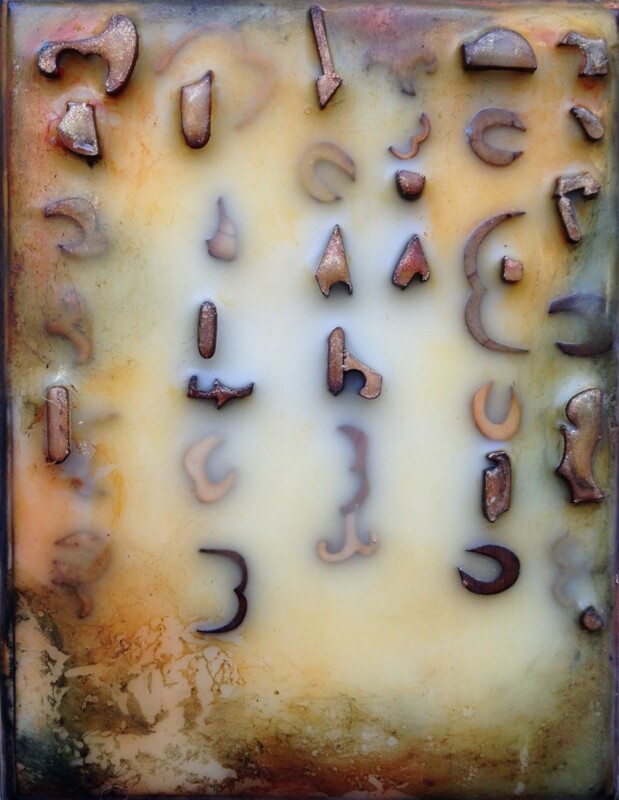 My work will also be featured in Schiffer Book’s upcoming publication entitled, “Encaustic”. I am looking forward to teaching again at Patricia Baldwin Seggebruch’s Encausticamp in July 2015, I will be teaching the Encaustic Photo Alteration techniques mentioned above. 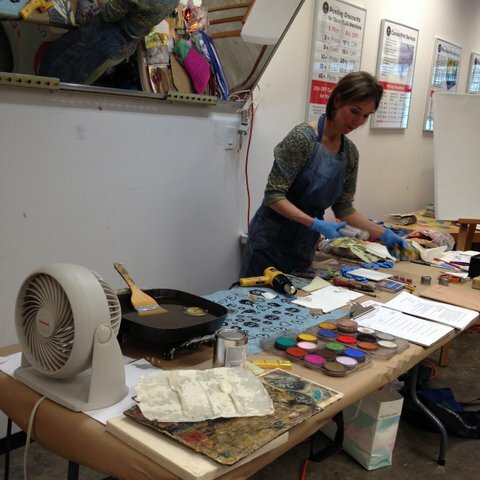 It is a full all-inclusive week of encaustic creativity and community, near Seattle WA. 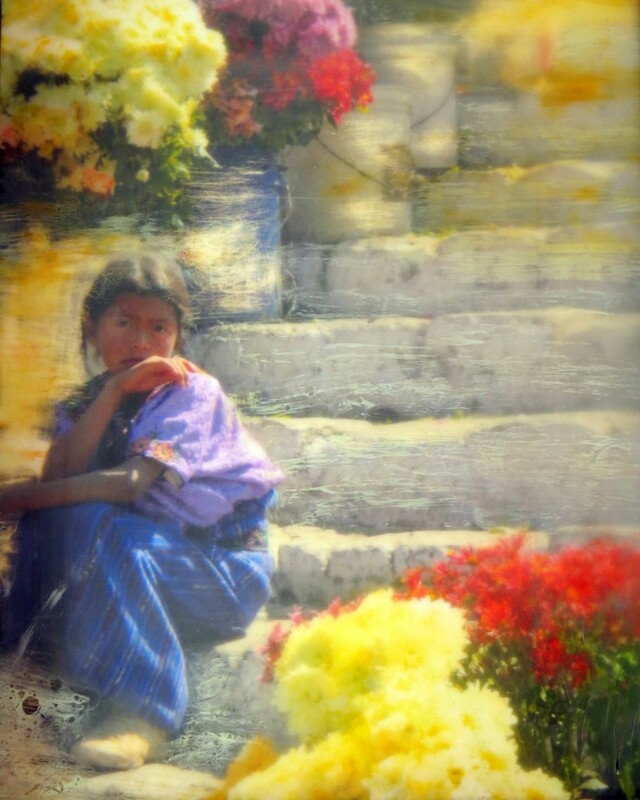 I also teach mixed media art workshops in North America and internationally and am pleased to be leading a Mixed Media Photo Alteration workshop with Phoenix Coastal Art in Peru this March 2016. Please join me! Visit Shary’s website sharybartlett.com to see artwork including the work using PanPastel. 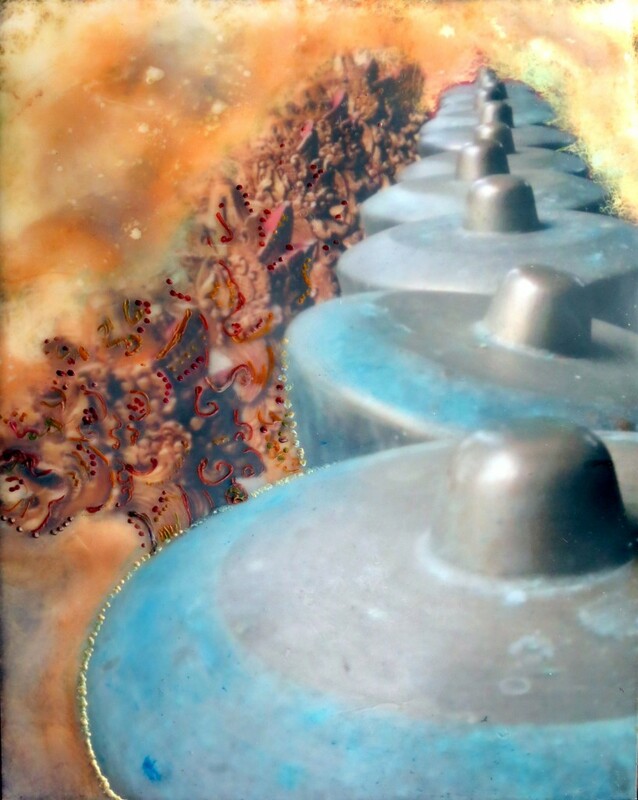 Shary uses PanPastel in many of her encaustic/mixed media pieces including all of the pieces shown above.